Ilorin is the state capital of Kwara in Western Nigeria. 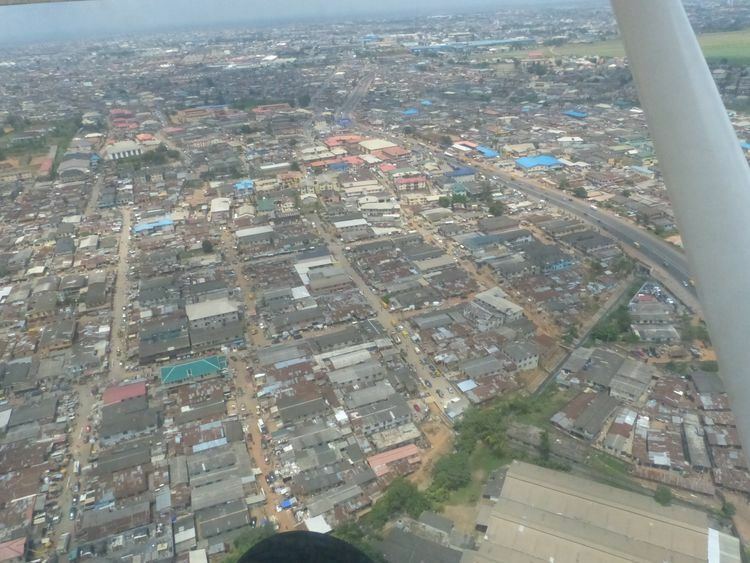 As of the 2006 census, it had a population of 777,667, making it the 6th largest city by population in Nigeria. Ilorin was founded by the Yoruba, one of the three largest ethnic groups in Nigeria, in 1450. It became a provincial military headquarters of the ancient Oyo Empire, and later became a Northern Nigeria protectorate when Shehu Alimi, an itinerary Islamic preacher and teacher, took control of the city through the spread of Islam. The capital was occupied by the Royal Niger Company in 1897 and its lands were incorporated into the British colony of Northern Nigeria in 1900, although the emirate continued to perform ceremonial functions. Although the city retains a strong Islamic influence, Christianity is now widely practised in the cosmopolitan part of the city due to the significant immigration of people from other parts of Kwara State and the rest of Nigeria. Ilorin has a 20,000-capacity stadium and two professional football teams, Kwara United F. C. in the second-divisionNigeria National League and ABS F.C. in the first-division Nigerian Professional Football League. The city has the only standard baseball court in west Africa. It has also hosted several national handball competitions. Television and radio stations in Ilorin include NTA Ilorin, Radio Kwara, both FM and AM band, Unilorin FM, Cruise FM, Royal FM, Sobi FM, Ray power FM and an office of the News Agency of Nigeria Ilorin. The political economy of Kwara State can be traced to 1967 when it was created. Since then the state has undergone various developmental efforts, mostly initiated by the federal government given the nature of the Nigerian state, a centralized federal system where development policies and programmes originate from the center. The state has a large area of rich agricultural land. The limestone and dolomite of Oreke, Idofian Kaolin and clay near Ilorin and other parts of the state, pure gold in Kaiama and the Patigi area, and the highly exportable rich tantalite deposit of Iporin make Kwara State rich in primary resources. Initially, Kwara State had only a few major industrial companies, notably Global Soap and Detergent Industries Nigeria Limited and the International Tobacco Company. Successive administrations have attempted to attract industrialists to the state. Several meetings were held with Kwarans across the federation, in order to attract investments. Former Governor Bukola Saraki made some progress in his efforts to lure more investors, demonstrated by successes in the fields of finance, education, health, water and rural development, agriculture, and industrial development. With such efforts, Ilorin has become the hub for cashew processing in Nigeria and Olam International has set up Africa's biggest cashew processing plant. The plant processes 100 MT of cashews every day and provides employment to over 2000 workers. Recently established industries include Dangote Flour Mills, Tuyil Pharmaceutical company, KAMWIL, Golden Confectionate Food Industries, Chellaram Motor-Cycle Assembly plants, and Rajrab Pharmaceuticals. To encourage both local and foreign investors, the state government provides various incentives, such as a 100% waiver on statutory payments on land, which was also made available to the Dangote Industries Limited for the flour mill complex. Ilorin's central location makes it easily accessible to all parts of the country by air, road and rail. The state has a good network of roads, rail and air transportation facilities linking it with Nigeria's other industrial and commercial centres. Ilorin offers reliable road transport services to Lagos, Ogun, Osun, Ondo, Oyo Ekiti, Kogi, Niger, Kaduna and the Plateau States. Similar services are available to and from Onitsha, Port Harcourt, Abuja, Aba and others. The major roads in the city are generally good, with relatively well-developed intra-city public transportation. There are three modes of transiting from place to place in the city – the most popular being the conventional cheap taxis. Car-hire services are also available in major hotels. Furthermore, there are commercial motorbikes, commonly called "Okada", and the more recent arrival on Ilorin's roads, "Keke NAPEP", commercial tricycles given on loan to beneficiaries in the National Poverty Eradication Programme. A major expressway to Ibadan, numbered E1, is currently under construction by P.W. International. The city is a confluence of cultures, populated by the Yoruba, Igbo, Hausa, Fulani, Nupe, Baruba, Kanuri and Malian tribes, as well as other Nigerians and foreign nationals. There are large Christian and Islamic populations, and many ceremonial activities, mostly with religious aspects, take place in the city throughout the year. Ilorin has a friendly environment (generally called the "Home of Peace") and hence hosts different religious practices and training institutions. Located on the city's GRA, the degree-awarding United Missionary Theological College (affiliated with the University of Ibadan) produces many church ministers, teachers and theologians of all denominations. The College of Arabic and Islamic Legal Studies in the Adeta area trains Muslims in various Islamic, Arabic and social science disciplines. Alfa Alimi's Mosque and residence is said to have been built in 1831. It was the first Juma'at Mosque in Ilorin. The city also has a range of tourist attractions such as the imposing Sobi Hill, said to have offered protection to natives during intertribal wars in ancient times. The Okuta Ilorin is located in Asaju's compound, Idi-Ape Quarters. It is the stone on which Ojo Isekuse, one of the founders of the city, used to sharpen his metal tools. It was actually called "Okuta ilo irin" (meaning stone for sharpening metals), and Ilorin is said to have derived its name from there. The stone was a deified object of worship and sacrifice offerings in the past. Pottery is a big business in Ilorin. The city has the biggest traditional pottery workshops in Nigeria. They are located in the Dada area of Okelele, Eletu in Oju-Ekun, Okekura, Oloje, Abe Emi and Ita Merin. The traditional textile industry also thrives in Ilorin. In various parts of the city, aso-oke, textiles hand-woven on simple looms, are made in large quantities. Aso-oke is purchased by traders and fashion designers from Kwara State, other parts of Nigeria and abroad. The cultural center houses the Kwara State Council for Arts and Culture, its performing troupe, and a gallery with artworks and antiquities. Souvenirs of cultural and historical values are also available. Metropolitan Park, a recreation park, is located on Unity Road. The Kwara State Stadium Complex has an Olympic-sized swimming pool with facilities for diving. A purpose-built baseball park is located in the Adewole area of the city. 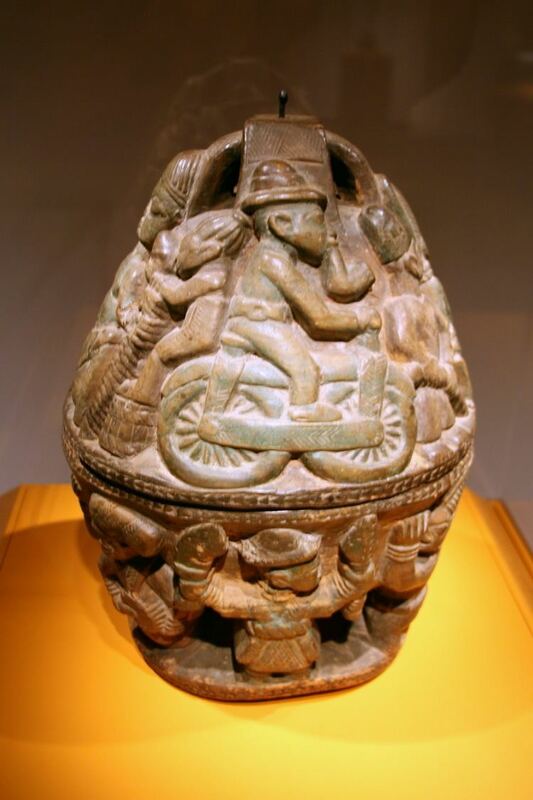 The National Commission for Museum and Monuments has one of its centers in Ilorin, with interesting cultural and ethnographic objects from Nigeria's many cultures. The Esie Museum is of major note. The city has a host of ancient and modern churches with very large congregations, such as the holy order of Cherubim and Seraphim churches, Anglican, Methodist, Celestial Church of Christ, The Holy Trinity Gospel Church International, Evangelical Church Winning All (ECWA), Catholic, Seventh day Adventist and Protestant populations of the Christian faith. Most Christian churches in the state started schools and introduced innovative ideas that were readily adopted by the Muslim schools. The first Ilorin central mosque was founded in 1820 in the Agbarere Area, popularly known as "Ile-elewa", under the leadership of Sheik Imam Muhammad Munab'bau. This was followed in 1835 when another central mosque was built at Idi-Ape during the reign of the first Emir of Ilorin, Abdus-salam. However, more than a century later, this central mosque could no longer cope with the growth in the Muslim population of the city. For this reason, in 1974, the ninth Emir of Ilorin, Alhaji (Dr) Zulkarnaini Gambari, invited Grand Mufti Alhaji Mohammed Kamal-u-deen and the then present Wazirin Ngeri of Ilorin, Dr. Abubakar Sola Saraki, to co-ordinate the fundraising and construction of a new central mosque. On April 30, 1977, the foundation was laid for the new mosque by the Emir of Gwandu on behalf of the Sarki Musulmi, Sultan Abubabar III. The new Ilorin Central Mosque was completed and officially opened in 1981 by the former president Alhaji Shehu Shagari. The Mosque was renovated, rehabilitated and expanded in 2012 with a majestic view. The newly redecorated mosque was re-commissioned on the 14th December, 2012. Planning for the rehabilitation, refurbishment and redecoration of the Central Mosque started in 2007 when Alhaji (Dr) Ibrahim Zulu Gambari, CFR, the eleventh Emir of Ilorin, with assistance from Dr. Abubakar Bukola Saraki, the Turaki of Ilorin, and the former Governor of Kwara State, set up a technical committee headed by Alhaji Shehu Abdul-gafar on the rehabilitation and enhancement of the central mosque. The committee has invited expertise from specialists in mosque construction from around the world, especially from Saudi Arabia, the United Arab Emirates and Nigeria. In addition to the general restoration and enhancement of the mosque, it will now have a total of 99 domes of different diameters, 75 feet above the floor. The large dome will be of gold finish while the four big domes around it will be coated in green with reflective illumination. The mosque form is enveloped within a pyramid shape with a square base and 45 inclinations for the faces. It has four accessible minarets, each standing at a height of 150 feet. Moreover, all the dilapidated domes and minarets with mosaic finishing will be restored and finished with cut-to-size marble. The exterior and interior will also be covered by special marble while the expanded courtyard will be constructed with heat-absorbing granite (marble) finish. The doors and windows will be replaced with specially designed ones befitting the new mosque concept. Ilorin is home to two universities, the University of Ilorin and Al-Hikmah University, Ilorin, and also has Kwara State University within its metropolitan area.